The first time I attempted to create a vegan and raw chocolate mousse was an epic failure. Actually to the point of spitting it out, apologies for the crass-ness there…. though seriously it was that bad. 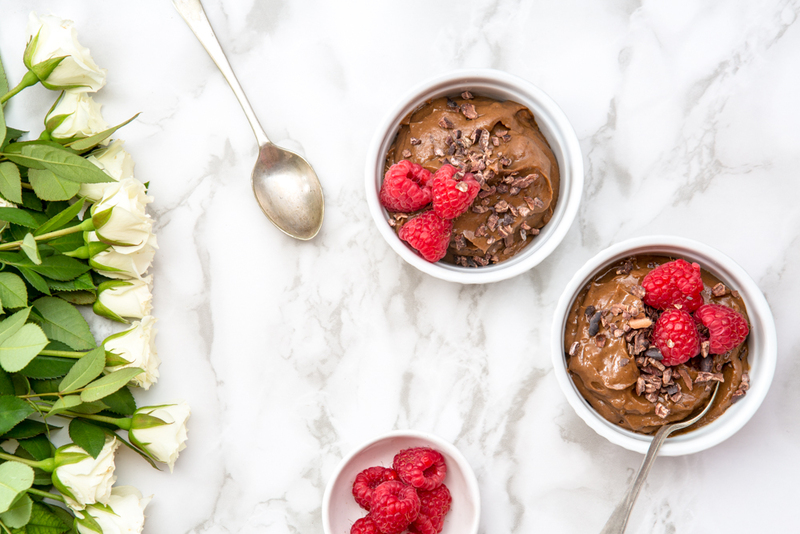 Fast forward to a bazillion times made later and I can share with you the secret to perfect vegan cacao mousse – the balance of sweetness. If you thought the secret was avocado, you were kind of right as that’s a fairly crucial element to the recipe (don’t freak out), however what so many recipes/people/I do to counteract the flavour and turn the dish to a dessert is add a heck of a lot of sweetener! Whatever your preferred choice, the reality is that a recipe containing an 80% sweet element volume is less than ideal for any of us. Because that’s how you crash. And fast. There’s a reason why I don’t consume much sugar and why countless, educated sources would advise the same. After the crash comes the desire for more sugar and so comes the addiction; a seriously tough one to break at that. Eating sweet treats however is still absolutely possible and in my opinion, part of a good life! Hence this simple, vegan cacao mousse. If you’re wanting to learn more about raw cacao and why it’s so awesome for our bodies, I wrote all about it here. 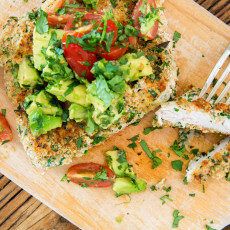 This recipe is a go-to in our house and for a variety of reasons. 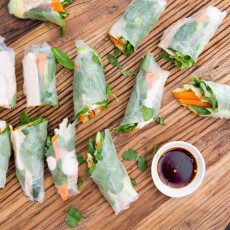 It’s ridiculously simple to prepare and can be made in advance – who doesn’t love that! Although sweet, the presence of good saturated fats means this bowl of heaven is satisfying and won’t have you coming back on a sugar swing. It looks fancy, tastes divine and provides a sweet treat alternative without the dairy and preservatives. Serve it for the love of your life, someone you’re trying to impress or make it for yourself as I often do and enjoy the second serving another day! 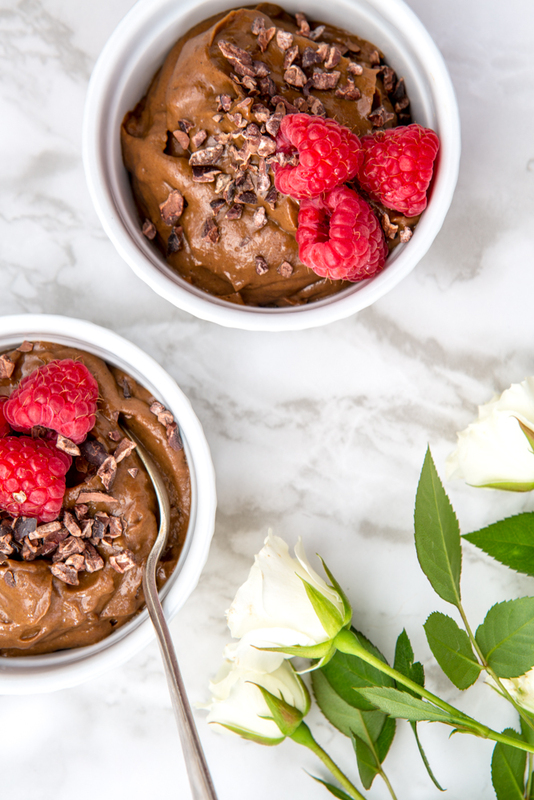 This recipe can easily be eaten for breakfast too – yes chocolate mousse for brekkie! I’d recommend serving with some crushed nuts & fresh berries for an antioxidant-rich and deliciously satisfying start to your day. For those looking to lessen their sugar intake, quality saturated fats are a wonderful replacement and the reason as to why is super simple. They satisfy you and your brain. So therefore there’s less sugar-withdrawal and less food cravings in general – pretty cool right!? 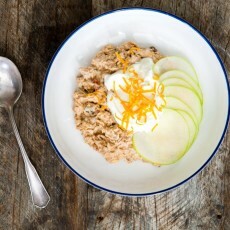 Secondly, this recipe calls for a fructose-free and slow releasing sweetener; rice malt syrup. Fructose is the type of sugar that cops a beating in the anti-sugar world as the effect it has on our livers and metabolism has proven to be fairly toxic. Rice malt syrup is made from fermented cooked rice and is a blend of complex carbohydrates, maltose and glucose. In Australia, I prefer to use Pure Harvest rice malt syrup for its’ quality, also that it’s a certified organic product. Even with all my recipe development work, a jar lasts a while in our house as a little goes a long way! 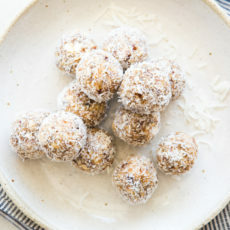 NOTE – if you’re used to loads of sugar in your world then this product may not seem very sweet to you and that’s OK. Give it a go as I recommend in this recipe, as you also have dates for additional sweetness and see what you think. Otherwise honey or maple syrup will work in its’ place. With Valentine’s Day in Australia just around the corner, this is a seriously romantic dish to whip up for you and a loved (or desired) one! 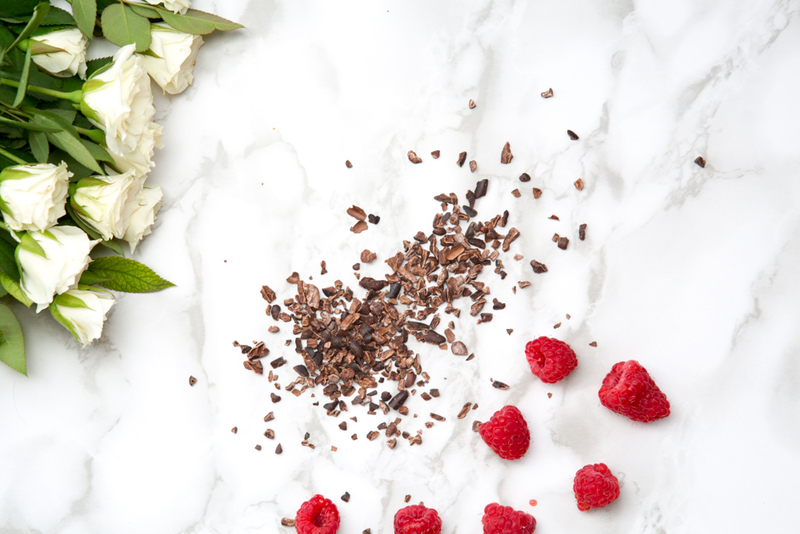 I love making it a day in advance, especially if we have people coming over and pulling it out from the fridge after dinner, topping with some fresh berries & cacao nibs before serving to some very excited faces. If you think people will find avocado in chocolate mousse an odd thing, just don’t tell them and of course smile like a Cheshire cat when they say how awesome it tastes…. 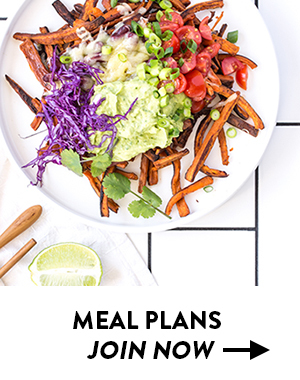 This is not a sponsored post and I did not receive compensation to create this recipe or mention a brand. As always, I’ll only ever recommend a product that I indeed use, love and buy myself. However that being said, Pure Harvest feel free to send me some of your goodness! 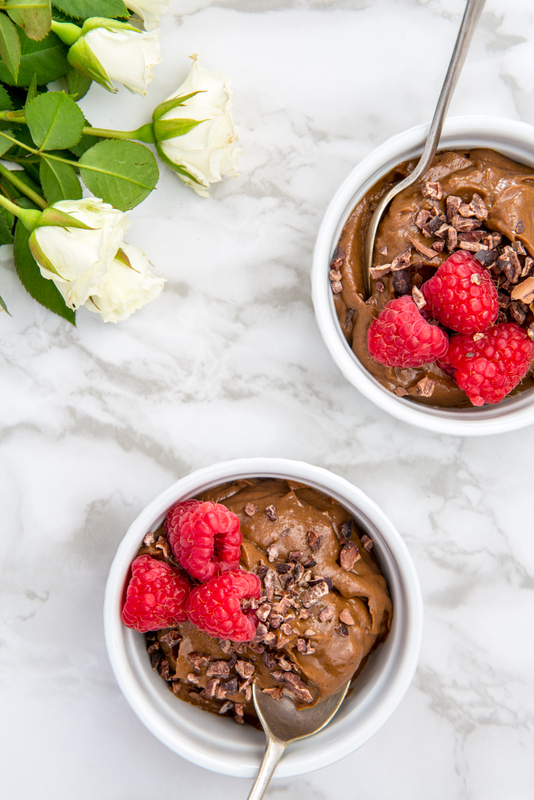 6 Responses to "Simple, Vegan Cacao Mousse"
OMG! I just whipped this up tonight & it was amazing… I really wasn’t sure if I was going to like the taste, but one teaspoon and my tastebuds were in heaven! Thanks so much for sharing and look forward to tasting some of the other goodness here on the blog. Well isn’t that positive news! Thanks Donna (and I agree!) YUM!